How can the right kind of pressure create a better-driving SUV? If you want more power out of your garden hose, you put your thumb over the nozzle. It’s the same principle we used to get more power out of our first-of-its-kind four-cylinder dynamic pressure turbo engine in the all-new Mazda CX-9. 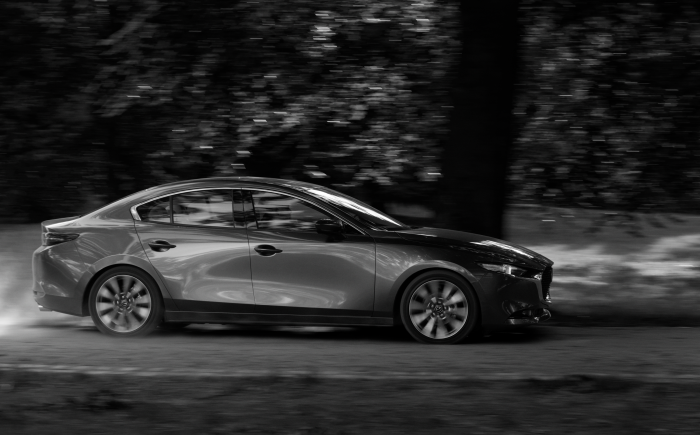 By using a valve to increase the velocity of exhaust leaving the SKYACTIV®-G 2.5T engine and recirculated through the turbo, turbo lag is virtually eliminated. So you get more power at a lower RPM. And because it’s lighter, you get best-in-class EPA-estimated combined MPG1 with effortless, linear acceleration, the moment you step on the pedal. It’s a powerfully simple idea. 1 Based on comparison of 2016 model year non-hybrid, FWD/AWD, 3-row mid-size crossover SUVs and EPA estimates for 2016 Mazda CX-9 FWD 22 city/28 highway/25 combined MPG and Signature model with standard AWD 21 city/27 highway/23 combined MPG. Actual results will vary. Source: Model Year 2016 Fuel Economy Guide, dated February 24, 2016 (www.fueleconomy.gov). What does genuine Rosewood have to do with a better-driving SUV? Can a better-looking SUV actually make your drive better? Can a 900-year-old tradition create a better-driving SUV?